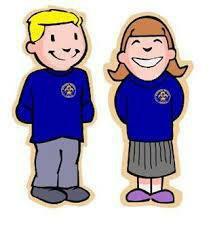 We take pride in having pupils wearing smart school uniform at all times. Please ensure all uniform and PE kit is named. It is also expected that pupils with long hair have it tied back at all times and no jewellery, fancy hair accessories or nail varnish is worn. Shoes - plain black school shoes for general wear at school . Plimsolls for indoor PE and trainers for outdoor PE. Trousers (boys), Shorts (boys), Socks, Tights, Plain White Polo Shirts, Summer Dresses, PE Shorts, Plimsolls, White Shirts and Blouses.